Farécla Products Limited (Farécla) had decided to invest in a website for one of their most important export markets, China. But the website was not localized or optimized for the Chinese market. The contents had been translated into Chinese characters but without background expertise in how Chinese websites actually function or how to connect with prospective Chinese customers: the website was not fit for purpose. Management began reviewing possible solutions with IBT Online and we are proud to have helped Farécla build a great Chinese online platform for doing business: a fully localized, optimized and functioning website that acts as a springboard for social media, online marketing, ecommerce – in line with the company’s strategy to grow their sales, brands and businesses in China. Renowned for its technology and ability to deliver, Ocean Optics has every reason to be confident of its global success. To make sure the Ocean Optics brand is showcased at its best, management decided to invest in its online footprint. 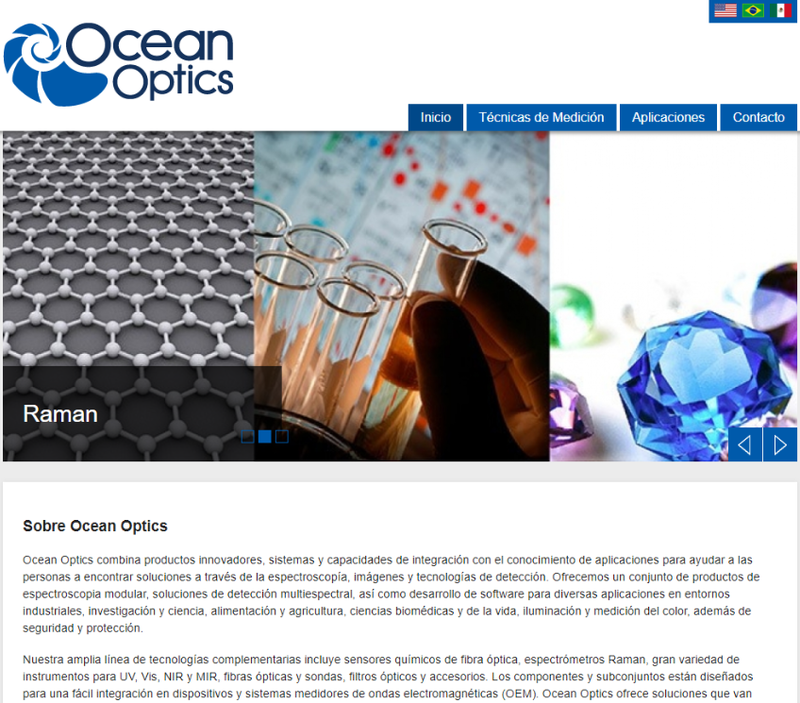 As a Florida exporter, the company took advantage of the innovative Florida Online Global Program and in mid-2018, Ocean Optics boasted its first 2 fully localized websites for target export markets; Mexico and Brazil. 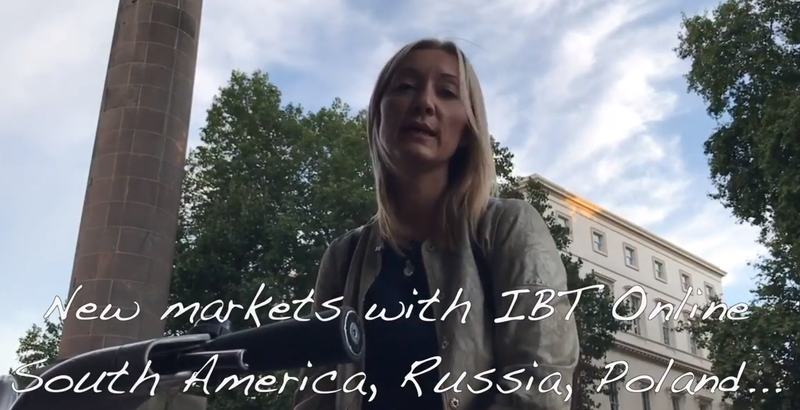 IBT Online is proud to have helped them get online globally. With headquarters in Florida, Ocean Optics was eligible for Enterprise Florida’s Online Global Program. As a public-private partnership, Enterprise Florida Inc. (EFI) is the principal economic development organization for the state. Working with IBT Online, EFI initiated an innovative program to help Florida companies with global ambitions get the right sales and marketing tools: international, fully localized websites and social media marketing. The world wide web was invented 30 years ago and in just one generation has spread to every corner of the Earth and even beyond. The United Nations is debating including access to the web as a fundamental human right. But the risks of the web’s ubiquity are also increasingly clear. The General Data Protection Regulation (GDPR) is the greatest challenge so far for companies as they scramble to tame their wild west websites. At the core of GDPR is the recognition that online personal data has a value. Who owns it and how should it be treated? 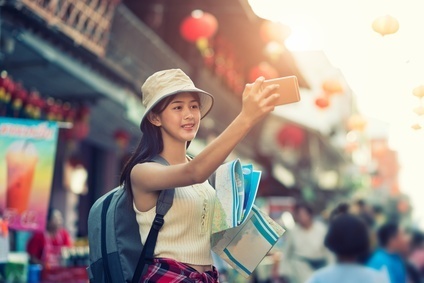 How can companies build brand awareness in China? New to China and wondering how to get brand recognition? One of the fastest and most cost-efficient ways of building brand awareness in China, particularly for B2B companies, is to use SINA Weibo. The name Weibo means microblog in Chinese and the app is sometimes likened to a Chinese version of Twitter. But that comparison undermines one of its key attributes: from an online marketing perspective Weibo is more like Facebook. Weibo allows companies to post content to specific targeted audiences in China. It gives you a segmented audience base to grow page likes, create social buzz and to drive traffic to your website. This is the main reason why Chinese businesses are increasingly using Weibo for their online marketing and why savvy non-Chinese companies are joining in. Social media is a fantastic way to boost your brand awareness and grow your sales in Mexico. Mexican consumers and businesses are reactive and engaged online: post great relevant content and watch it ricochet around your target prospect base! On top of that, online marketing prices are reasonable compared to many other large markets. So, if you get your social media and online marketing right, the return on investment for brand awareness and the sales that can go with it, are rapid. 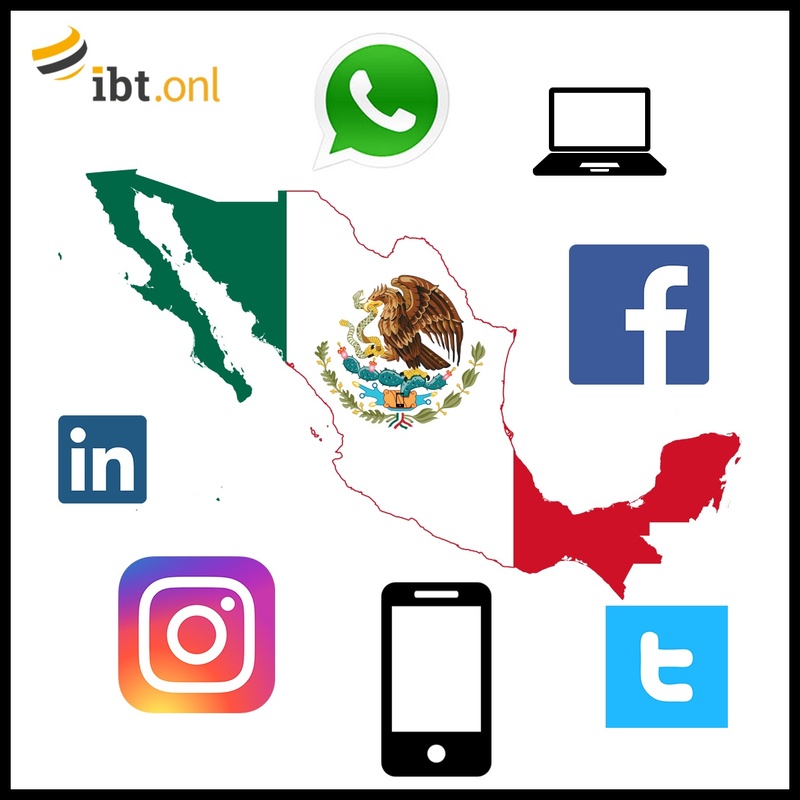 Below we share some of our insights to the Mexican online world that we use as international marketers to help our clients build their brand, sales and business in Mexico. If you want to be a global leader, you need global websites – this was the conclusion of Custom Biogenic Systems' management. In 2016, IBT Online rolled out the first 2 localized websites for them: now 2 years later, Custom Biogenics is online, optimized and fully visible to their international clients and prospects, with 6 websites across 6 international markets. IBT Online first built 4 localized websites for Custom Biogenics for Europe: French, German, Spanish and Italian. In early 2018, the company decided to add Chinese and Russian. These 6 languages equate to over a quater of the world's population. This multi-website presence allows the company to push forward its international ambitions, growing together with the global biotechnology, pharma, industrial and research sectors that they service. Selling specialized products to consumers these days requires a fantastic website and regular postings of quality social media across multiple media platforms. Shire Post Mint from Arkansas do this well. Their US home website allows customers to browse and purchase easily while their blogs and regular social media postings include great visuals and engaging content. Now how best to grow internationally? Management chose to leverage their digital presence through localized websites and international online marketing for their key export markets. IBT Online is delighted to help: the first step was to build German and Spanish localized websites. Vapor Pin Enterprises, Inc. patented the Vapor Pin®, which allows environmental professionals a means of collecting high-quality, low-cost soil gas samples within minutes. Management was convinced that Brazil would be responsive to ecommerce and they turned to their local, US-based web agency for help. Unfortunately, the local web company did not have the experience, the know-how or the tools and skills to build localized Brazilian ecommerce websites. IBT Online was proud to be called in to help fix the problem and get a great, functioning, optimized and safe localized Brazilian ecommerce website with an accompanying online marketing strategy. Localizing websites is more than translating a few pages – it involves deep local knowledge, wide technical experience and strong locally-based search engine optimization skills. Ecommerce plug-ins also need to be suited to the local market, taking into account local payment habits, safety and compliance regulations. For Brazilian ecommerce, according to Director of Sales Laurie A. Chilcote, “everything is in place including, distributors, accountants, lawyers…now we need to get online”. It was the right time to call in IBT Online to ensure the Brazilian website was launched on-time and on-budget with a full ecommerce platform and online marketing strategy to power up sales. Management at Holland Pump were keen to increase brand awareness in their key export markets. The solution was to use online tools, starting with localized websites, as the most effective means of building business and brand awareness rapidly. It made sense to start with South America as some of Holland Pump’s most attractive export markets are in the region, with large-scale mining, infrastructure and industrial projects. IBT Online was tasked with building the localized websites for Brazil and Mexico for starters. 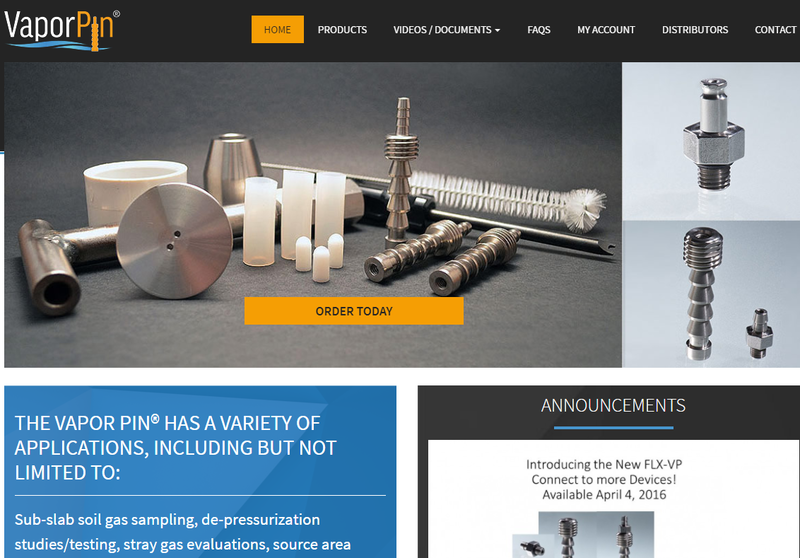 The localized websites allow Holland Pump to showcase their expertise to local prospective clients, reinforcing the trust that is so essential to the buyer’s journey.